The mercury is rising, and so are your fundraising efforts! 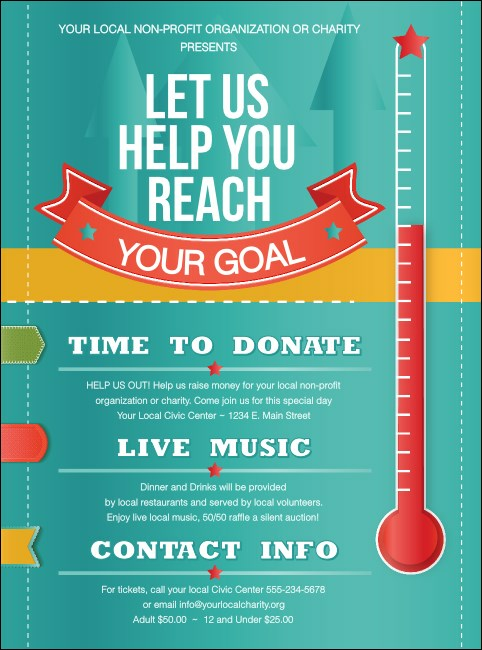 When you want to raise the bar, try turning up the heat with the Fundraising Thermometer Flyer. It's a healthy way to engage your audience in a worthy cause and start gathering guests for your upcoming charity event. Fill in your event info into the template below and watch the donations rise! Feed your fundraising efforts with a little help from TicketPrinting.com.